In the Midnight Shadows Pullover & Tunic, you will walk into the room with a mysterious grace. 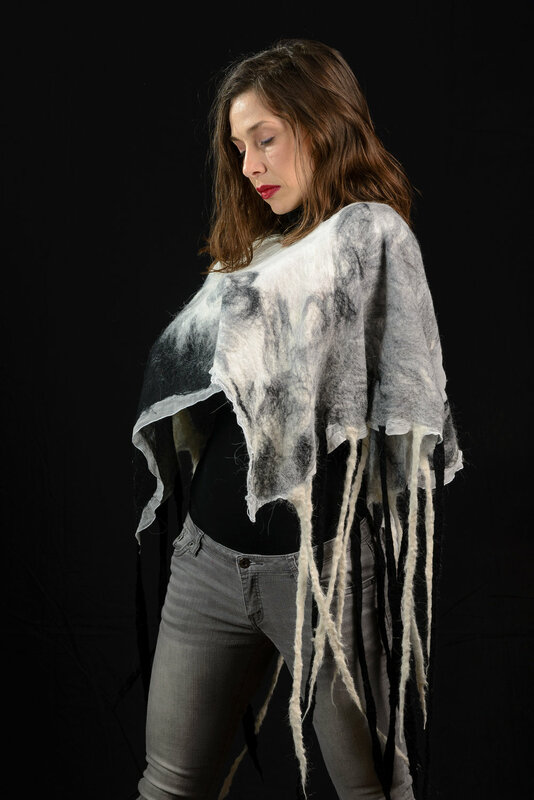 This unique piece is made with multiple layers of Merino and Alpaca wool. Very soft, cozy and unique.